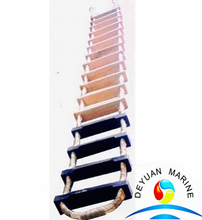 Embarkation ladders was designed according to SOLAS 74/2004 Reg. 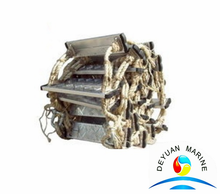 III/11, SOLAS 74/2004 Reg. 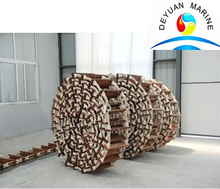 III/34, IMO Res.MSC.36(63)-(1994 HSC Code), IMO Res.MSC.48(66)-(LSA Code), IMO Res.MSC.97(73)-(2000 HSC Code). 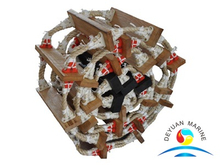 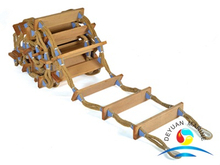 Ladders are made of wooden,with manila side ropes,with EC or CCS certificate. 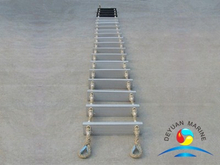 We can deliver the embarkation ladder in short time,good quality,compectitive price,if you are interested in our ladders,pls get in touch with our sales team by email to admin@deyuanmarine.com.